Do you like to come home at the end of the day and treat yourself with a glass of wine, beer, or maybe a cocktail? If so, you might be interested in alcohol subscription boxes. 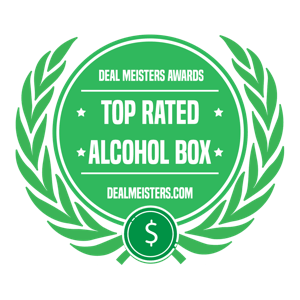 We have compiled a list of what we believe to be the top 10 alcohol subscription boxes out there. Alcohol subscription boxes are so easy! Simply subscribe to the box that offers your favorite alcoholic beverages, and wait for your subscription box to arrive at your home! The hard part is figuring out which one you should go with, as there are a handful of different alcohol subscription boxes on the market. Luckily, we have got you covered. Continue reading so we can guide you in choosing the best alcohol subscription box for you! We believe value for cost is one of the most important criteria in our rating system. When you consider the fact that you could order these wines individually or get them at the grocery store, you should make sure you are getting some sort of deal. There should be some sort of incentive for subscribing. Value for cost will essentially help you determine if it is worth it for you to subscribe or not. We look at the lowest prices you could possibly be paying with each snack subscription box, the average price, and the cost of the in-store cost of each item. ​Our highest rated subscription boxes all have outstanding customer service. This is so important because not everything runs smoothly all the time. Customer service takes care of cancelling subscriptions, managing subscriptions, and addressing any questions or questions that you may have. ​We also take a deep dive into the reviews that each subscription box's customers leave on various places throughout the internet. This is very important for us to hear from the customers. We make it a point to get the opinions of real customers, so that you can be even more confident that you are subscribing to a reliable subscription box company! Bright Cellars is an alcohol subscription box service that offers a great selection of premium wines. It was created by two MIT graduates that have clearly demonstrated their ability to succeed in an oversaturated wine market. There are tons of people who have entered the wine market, yet few have been as successful. Bright Cellars provides a customized wine subscription that uses quizzes and feedback on received bottles to form its judgement. If you want access to some industry-leading wine chosen by only some of the most experienced wine experts, then Bright Cellars might be just right for you! If you do not like a bottle that you have received, simply reach out to Bright Cellars and they will replace it in next month's shipment. To top it off, you will also find that Bright Cellars includes great cheese in your order. Wine and cheese, what could be better? If you think you would enjoy Bright Cellars, click here to get started! You can also find more information in our full Bright Cellars review. Wine of the Month Club (WMC) is one of the original alcohol subscription services to offer different wines every month. It is the most well know and most successful alcohol subscription services out there. We absolutely love what they have to offer. WMC has launched 3 niche Wine Clubs: the Napa, the Bordeaux, and the Rose. They also have a newsletter, events, and special dinners for their members. Once you choose which club you would like, you choose your membership package. You choose between 1 red and 1 white, or 2 reds or 2 whites. You can then subscribe to receive monthly, every 2 months, or every 3 months. Want to give it a try? Click here to get started, but if you want some more information, check out our Wine of the Month Club review! Cocktail Courier is an alcohol subscription box service that offers everything the best mixologist or bartender would offer you at the bar, including subtle touches such as garnishes. Fresh ingredients arrive in chill packs, and all you have to do is provide the ice. When subscribing to Cocktail Courier, you choose between weekly, bi-weekly, or monthly deliveries. Cocktail Courier is great for people that enjoy craft cocktails. 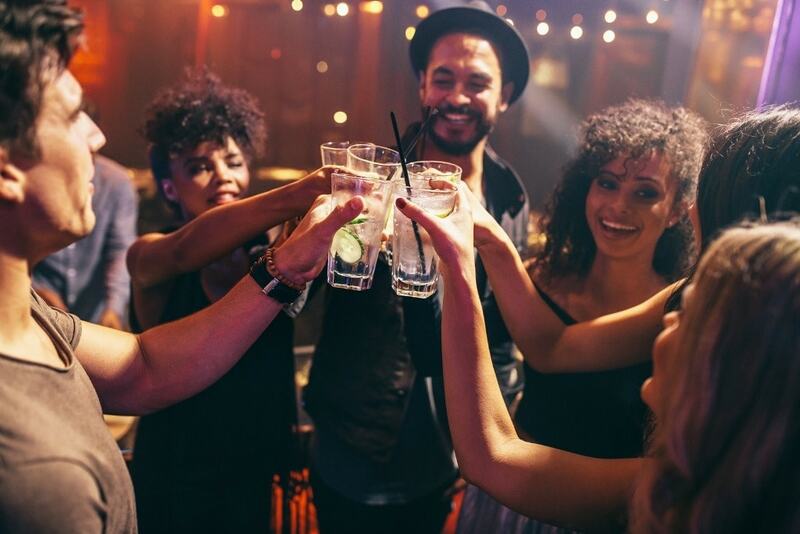 It is also a great option for people who love trying entirely new drinks weekly or even monthly. Join today and get 20% off your first order! You even get choose the types of liquor that you would like from a menu that gets updated every Monday. We love their extensive selection and great flexibility. Click here to claim your first Cocktail Courtier box. If you are not quite sold, we encourage you to check out our Cocktail Courier review for more information. Firstleaf stands well against some of the more premium wine clubs. Although they don’t sell luxury (and expensive) wines, their service is highly customizable and cost efficient. Whereas some wine clubs pick the wines for you, each Firstleaf club shipment is unique to you and your taste preferences. That way, you can reduce the number of bottles of wine received that don’t match your taste. That’s certainly a plus. Anyone looking to try a wine subscription without a significant financial commitment. Each shipment contains 6 bottles and costs $79 plus $9.95 shipping. Additionally their introductory offer is a great way to get started with the program. You can get 3 bottles for $5 each ($15 total + shipping) with your first shipment. That’s a great way to try their wine without wasting money and completely joining the club. After that first shipment, a standard shipment is 6 bottles for $79 + shipping. For the price (about $13 per bottle) that’s still a decent deal for the wine. If you need some more information on Firstleaf, check out our review. To learn more about their service and sign up, visit Firstleaf here. Winc is a popular wine subscription service that brings reasonably priced shipments to your door monthly. Much like some of the other more cost friendly wine clubs on this list, Winc brings you quality wine at a reasonable price. Whereas some wine clubs ship out expensive, yet very high quality wine, Winc brings 4 bottles of wine to you each month for $13 per bottle. Wine enthusiast looking for a monthly subscription that is customizeable and budget friendly. Each monthly shipment contains 4 bottles and costs $13 per bottle ($52 overall). Get $20 off of your first order with Winc. Winc has plenty of wine options for any and all taste preferences. They offer hundreds of wines through their service. One of the benefits of Winc is that you have two choices when it comes to the monthly subscription service (of 4 bottles per month). The first option is that you can pick all 4 wines yourself. The second option is to provide Winc with your taste preferences and let them customize a box for you! Take a look at our Winc review if you need more info and visit Winc’s website if you’re interested in joining. Gold Medal Wine Club is an alcohol subscription box service that offers only the best wines directly from the vineyards in California. They place an old school feel on their company that is based off of their rich history. It is considered by many to be some of the best wine in the World. If you want nothing but the finer things in life, as well as the finer wines, this is the best way to go! You simply look through their great variety of subscription packages, pick how many you would like, and how often you would like to receive them. It is that simple! In no time, you will have the some of the best wines in the world sitting right at the doorstep of your home. To learn more about Gold Medal Wine Club, click here to read our review, or get started here! Robb Vices is an alcohol subscription service that offers the finer things in life. First, they offer premium packaging and presentation. Not only do you get a bottle to pop, you get first class service and accessories to add some freshness to the other areas of your life. It certainly comes with a high price, although, and an upscale feel. If you live a more elegant way of life, love luxurious additions, and want some wine thrown in the mix, this might be just for you. Join today and get $120 off your first year! Click here if you need some more information on Robb Vices. If not, you can get started here! Beer of the Month Club (BOMC) is an alcohol subscription box that offers beer to its customers every month. They have a number of differently themed clubs including wine, chocolate, flowers, cheese, and cigars. You also have the option to build our own club! BOMC is extremely flexible, environmentally friendly, and well known for high quality and great prices. If you are a beer lover who doesn't have much opportunity to shop for beers, you will love this service! Also, it is great for people who want to hand pick what beers are shipped every month. The beers that Beer of the Month Club offers are and selected and tasted by industry experts. The standard delivery is a half case every month. They also encourage you to mix and match. Sound like a good deal? Click here to get started! More information is available in our Beer of the Month Club review. Naked Wines is an alcohol subscription box service that is an online marketplace to find independent craft winemakers from what Naked Wines calls Angels. Angels have great prices that typically save you 40-60% off the retail price of the wine. Naked Wines also offers free samples that you can add to your orders. If you are someone who likes to try new and unique wines, or even if you just want a quality wine at great prices delivered right to your door, then Naked Wines is perfect for you. Furthermore, you will not be able to find their independent wines in stores, because they are specifically made and bottled for Naked Wines. We love the unique and original touch that this places on Naked Wines. If you are interested in more information, check out our Naked Wines review. If not, you can get started here! Flaviar is a great alcohol subscription box. It offers an extensive variety of liquors, as well as a premium feel that we are sure you will love! In comparison to many other alcohol subscription services, Flaviar recognizes that you may need to fill up your bar a little bit more often. If you are looking to explore the world of premium liquors, we think Flaviar is the perfect alcohol subscription box for you! You can simply ramp it up to get more liquor, more often! While Flaviar is a little bit more on the expensive side, you get what you pay for! Give it a try and get started here! You can also read our Flaviar review for more information! Tasting Room's Lot18 is an alcohol subscription box that delivers top quality wine right to your front door! Whether you drink a little wine every now and then, or you’re a wine connoisseur, you’ll find that Lot18 will send a package that’s just right for your needs. If you love a fresh tasting wine and want the ability to have it on hand for those occasions when you need a glass, this is a great opportunity for you! Join today and save $33 on a wine tasting kit. Every bottle of wine that passes through the Lot18 doors is of a high quality that sets it apart from cheaper wines. Mix in the custom-tailored experience, and we are convinced that you will really enjoy your this service. You can get started here, or read our full Tasting Room review for more information. Craft Beer Club is another awesome alcohol subscription service. They offer you the opportunity to tour craft beers from all over the United States from the comfort of your own home. We really love this alcohol subscription box for people who love beer. 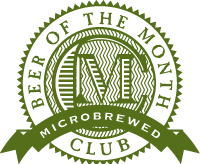 If you want to enjoy the taste of traditional craft beer that may not be available in your state, this club membership is certainly worth your consideration. Save $25 when signing up for a annual subscription! New members simply confirm how many beers they want in each shipment, how many shipments they want, and how often they want the shipment. Simple as that! Want to get started? Click here, if not, we encourage you to read our Craft Beer Club review. Just received another monthly box from Bright Cellars and I have to say I didn’t enjoy every bottle but I wasn’t expecting to right away. Was very happy after I contacted them and they were more than happy to replace it in my next shipment. Great customer service. Thank you Bright Cellars and I would highly recommend them to my friends. Thanks for your feedback, Katherine! I’ very happy to hear you’re a satisfied subscriber. Hope you enjoy the replacement bottle they send you. Joined Wine of the Month Club a couple months ago and I think they’re wonderful. Great price each month for 2 bottles. My wife loves her red wine each month. I have already recommended it to my friends. Thank, James for your wonderful feedback! I’m glad you and your wife are enjoying the wines. Hope your friends will enjoy them as much as you.